City Council approved some additions and removals to the city’s land management plan at its first meeting of 2018. Celia Shortt Goodyear/Boulder City Review Mayor Pro Tem Peggy Leavitt leads the council meeting Tuesday evening. Mayor Rod Woodbury was absent. 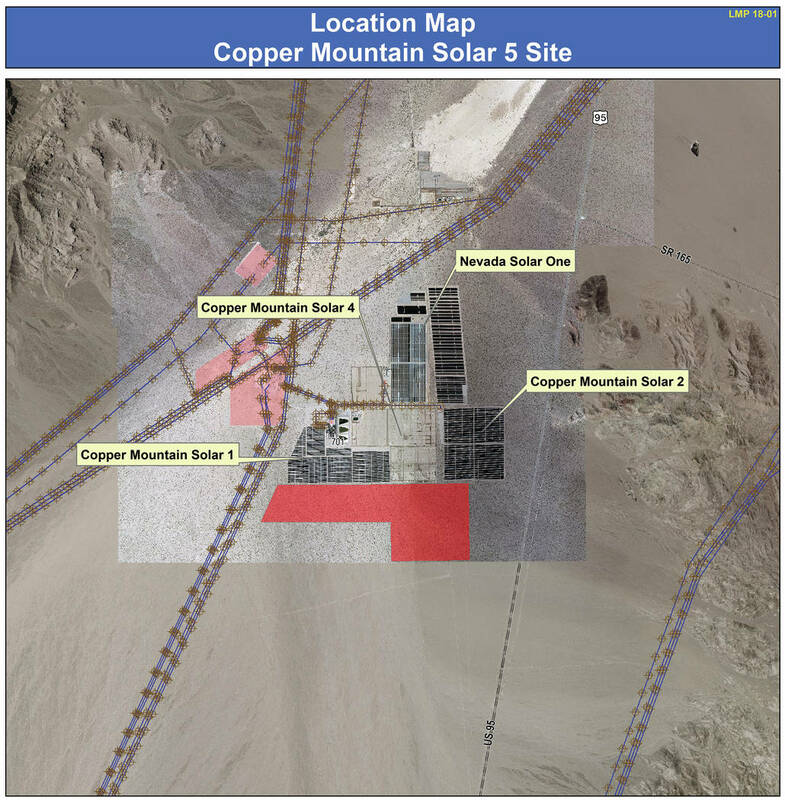 Boulder City City Council approved adding Copper Mountain Solar 5 LLC to the land management plan for additional solar fields. 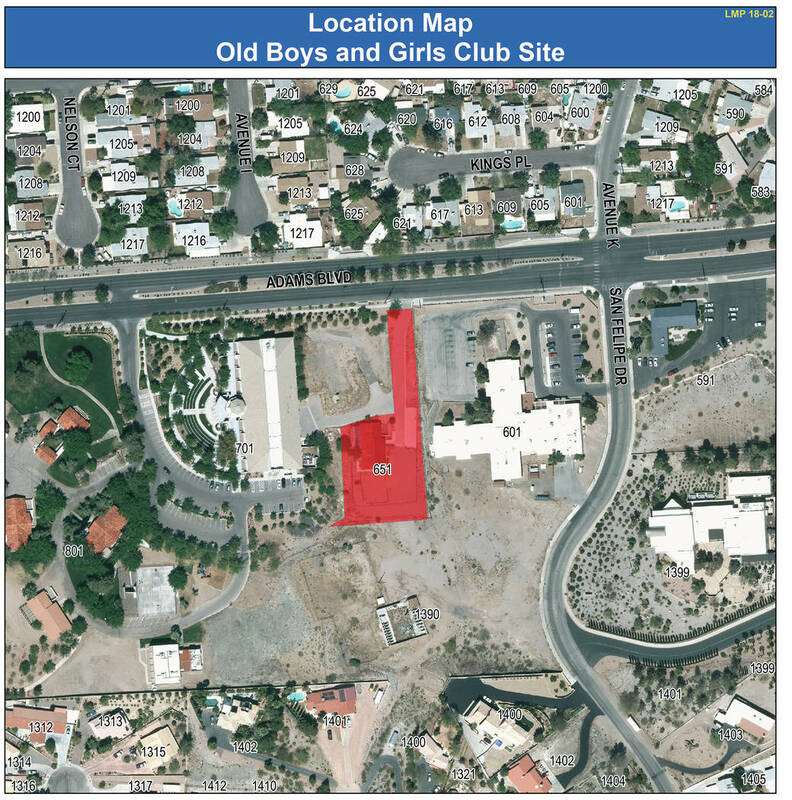 Boulder City City Council approved adding the site of the old Boys and Girls Club facility on Adams Boulevard to the land management plan for residential use. On Tuesday evening, it unanimously approved adding LMP 18-01, approximately 1,145 acres south of Eldorado Valley Drive, for solar use as well as LMP 18-02, approximately 0.9 acres at 651 Adams Blvd. for residential use. It also approved removing seven parcels of land from the plan due to a lack of interest in the properties. Both the additions and removals were recommended by the Planning Commission at its Nov. 15 meeting. The land management plan was adopted by the city through an ordinance in 2001 and formalized the process for public consideration of the sale or lease of city-owned land, according to Community Development Director Michael Mays. Mays said that Sempra Renewables requested the first parcel be added to the land management plan on behalf of Copper Mountain Solar 5 LLC for additional solar fields. The city requested the second parcel on Adams Boulevard, which is a remnant parcel of the ABC Park/library site, be added for potential single-family residential use or other public or quasi-public uses allowed in R1 zones such as a church, private school, day care facility or nursing home/addition. The building on the property is the site of the former Boys and Girls Club. During the council’s discussion, Councilman Kiernan McManus said that he wanted to make sure that if the building is sold, then the library would maintain access to its basement. “We don’t want to create any more work or expense for our existing library when there is already access available there,” he said. In terms of the removals, he said that he agreed with removing the seven parcels of land from the plan, but he thought there should be more taken off. Additionally, he wanted to the see it become more of an actual plan and not a list. “The parcels should be on there for a reason,” he said. Councilman Rich Shuman asked why the city was not including the approximately 2-acre parcel of land south of the old Boys and Girls Club in the proposal. The parcel, at 1390 San Felipe Drive, is the site of the old animal shelter. Acting City Manager Scott Hansen said that the parcel is in the land management plan already and approved for sale. Additionally, he said that he plans to bring a request for appraisals for both parcels before council at a later date so they can be sold. Though no one came forward during the public hearing for the land management plan, resident Tom Clements spoke during the first public comment time. McManus also encouraged the city look at its empty buildings to see if some of them would be appropriate for the 4-H Club to use. Council unanimously approved the two additions and the seven removals. It also approved modifying the city’s civil service rules and regulations. Administrative Officer Bryce Boldt said that these rules and regulations are the product of a template provided by the Nevada Public Agency Insurance Pool and Public Agency Compensation Trust or Pool/Pact, which also provides annual updates that include required revisions because of changes in statutes and guidelines. He said that the modified rules and regulations are “compliant, comprehensive and up to date” for Pool/Pact. “I’d say that most them really are language changes and kind of best practices,” he said of the modifications. “I think it’s really clear what’s been changed and why it’s been changed,” said Mayor Pro Tem Peggy Leavitt. 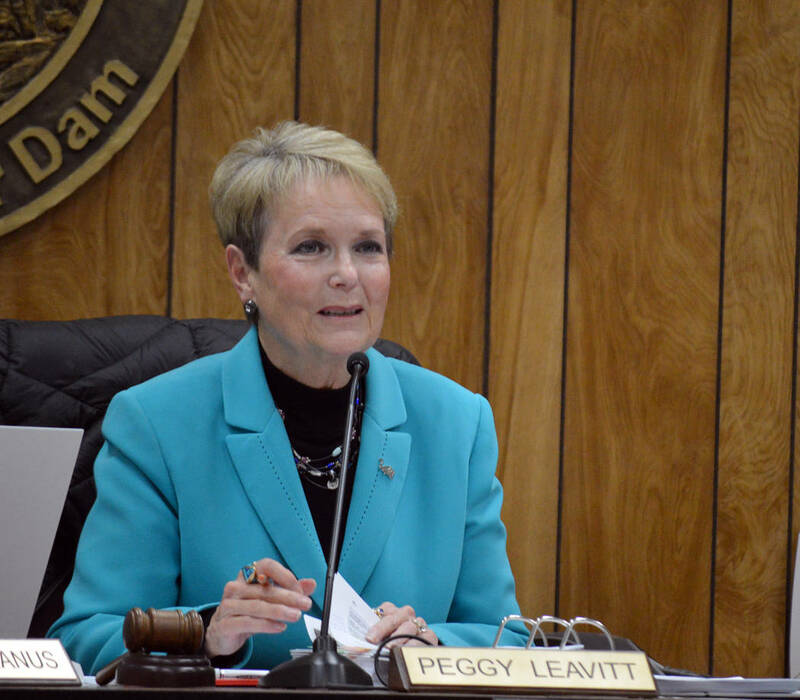 Leavitt conducted Tuesday’s meeting, as Mayor Rod Woodbury was absent. ■ LMP 04-05, 23 acres of land north of U.S. Highway 93 and south and east of Veterans Memorial Drive, currently approved for light industrial or crematory. ■ LMP 04-08, 8 acres of land north of Industrial Drive and east of Canyon Road, currently approved for boat storage. ■ LMP 04-11, 27.5 acres of land on the northeast corner of Adams Boulevard and Veterans Memorial Drive, currently approved for a senior housing project. ■ LMP 05-06, 100 acres north of Veterans Memorial Drive and west of Yucca Street extension to Bootleg Canyon, currently approved for Hang Time Sports’ proposed site. ■ LMP 06-02, up to 4 acres of land adjacent to the Boulder Creek Golf Club clubhouse, currently approved for hotel use. ■ LMP 08-03, 10 acres of land south of Quail Drive near the wastewater treatment plant, currently approved for a solar demonstration site. ■ LMP 14-02, 242 acres of land adjacent to and west of the airport, currently approved for an aeronautical and business park.